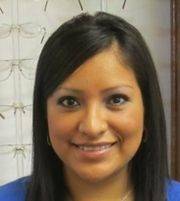 Vira is new at our practice and has been our front office coordinator since July 2013. Before that she worked as a legal assistant for almost nine years. Vira is the first and last smiling face you will see as you enter and leave our practice. She will try to answer any questions you may have. She is also fluent in English and Spanish.